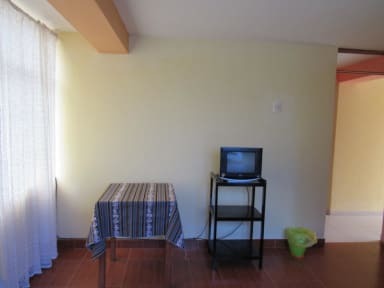 Hospedaje Ayllu is an establishment that provides accommodation for national and international tourists, we provide a friendly and welcoming, attention what we offer ourselves and support staff, we have been operating since 2015. 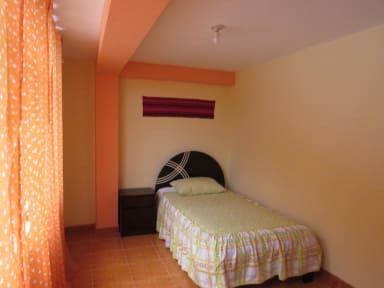 Hospedaje Ayllu is located in the Sacred Valley, Urubamba, 57 km from the city of Cuzco and Machu Picchu 50 km from here can visit several tourist attractions such as:The archaeological site of Moray. (20km), The salt mines of Maras. (17 km), The strength of Ollantaytambo (25km), The platforms of Pisac (30 km) and more. The rooms have private and shared bathrooms, designed with large windows that overlook the fields and mountains, the beds are made of local materials and the floor is ceramic, they do not need heating because all overlooks out and the weather is warm. Check in from 07:00 to 18:00 .